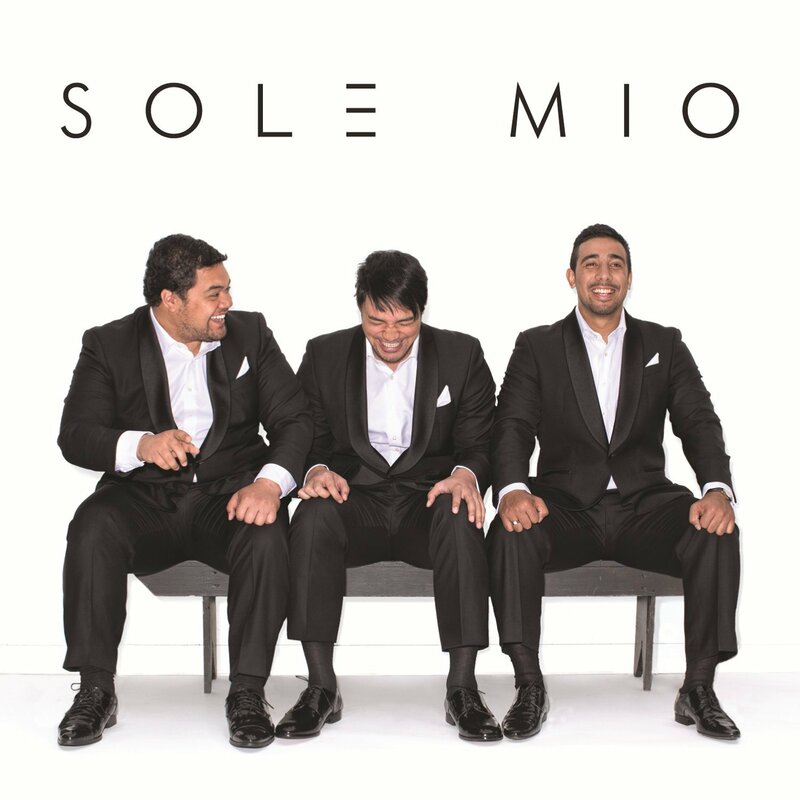 Sol3 Mio comprises of two tenor brothers, Pene and Amitai Pati together with their baritone cousin, Moses Mackay. If you have not already heard or seen them perform live, then let me take this opportunity to inform you that they are the combination of three powerful and very moving operatic voices, together with a dash of irrepressible Samoan humour. Are you beginning to get the picture? The Samoan New Zealand trio are quickly establishing an international reputation, having recently studied at the exclusive Welsh International Academy Of Voice under the tutelage of world-renowned tenor Dennis O’Neill. Now the world’s ears are finally beginning to stand to attention. Universal Music beat off other interested parties to sign them and allowed the boys to record their self-titled debut album in London with award winning producer Nick Patrick (Katherine Jenkins, Hayley Westenra, and Russell Watson). The stunning album, released on the Decca label, features opera classics, modern surprises and of course the soaring voices and emotional harmonies that make up their unique sound. The album opens with them allowing the listener to know exactly what this group of young men are all about as you feel their warmth together with their humour coming through from the very first note. A nice way to start. It then takes the listener on a rollercoaster ride of emotions; their interpretation of Bete Midler’s The Rose is a truly wonderful listening experience, as is My Way. We all have our very own favourite version of the classic song, but Sol3 Mio may just make you reassess your opinion. Maria, Tell My Father, Nessun Dorma and Amazing Grace are all delivered with such warmth and passion that you could almost believe that you are hearing them for the very first time. There are lighter moments on the album in the form of Ten Guitars, together with a lovely version of The Mills Brothers Yellow Bird. For me, the truly stand out track has to be Bring Him Home, which was, as we are all aware, made famous by a certain British Tenor, Alfie Boe in his role of Jean Valjean in Les Miserable. Sol3 Mio have rather large shoes to fill in attempting this song, but believe me, fill them they do. People may think that I would be exaggerating if I said that these three warm, confident and bubbly performers were born to sing. But they simply are. Together they manage to bring the realness to opera, whilst breaking down the perceived barriers and stereotypes of the genre. Sol3 Mio have the capabilities to breathe new life into time honoured classics, and their desire to share, entertain and inform, together with the easy manner in which they go about it, is positively infectious. Their remarkable voices are simply stunning collectively and they have the potential to bring a whole new audience to the music to which they have devoted their lives. The stage is now set for the next chapter in what is already an extraordinary story.